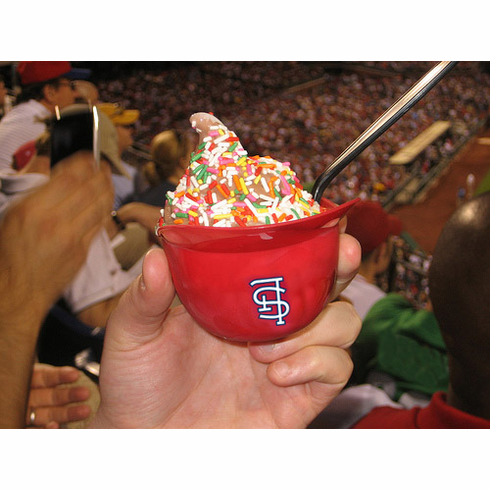 These red St. Louis Cardinals ice cream sundae-size batting helmet cups are perfect for your upcoming party, event, or St. Louis Cardinals birthday party! Serve 8 ounces of your favorite ice cream in each mini replica Cardinals batting helmet. The flat top will keep the contents from spilling. Each helmet measures appx. 5.5"L x 3.5"W x 2.5"H.
20-helmet set includes 20 Cardinals helmets. 48-helmet set includes 48 Cardinals helmets.